Hello LDV readers! Brendan here of B.A.D | Blog About Design. 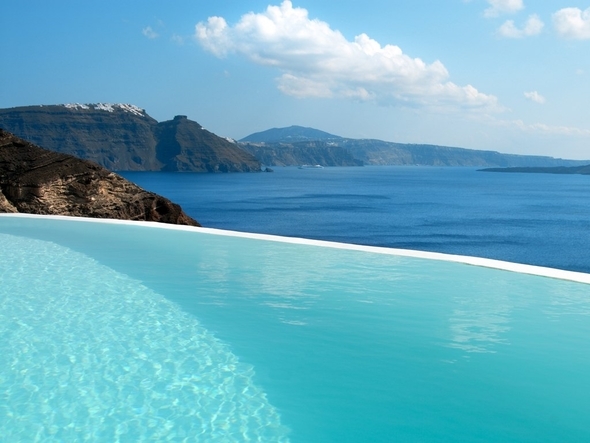 For today's Jet Set post I've decided to take us to the wonderful country of Greece. 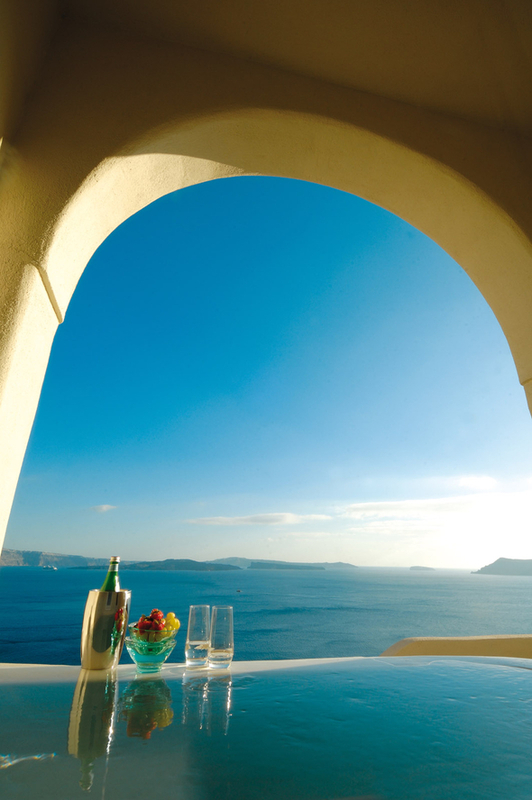 The Mystique Hotel, is set in the mountains of Oia Santorini. The hotel features a pool, spa and restaurant, as well as many nearby activities such as snorkeling, horse back riding, sailing, etc. This is the hotel to go to if you are looking for an escape. Personally, I can't wait to plan my trip. 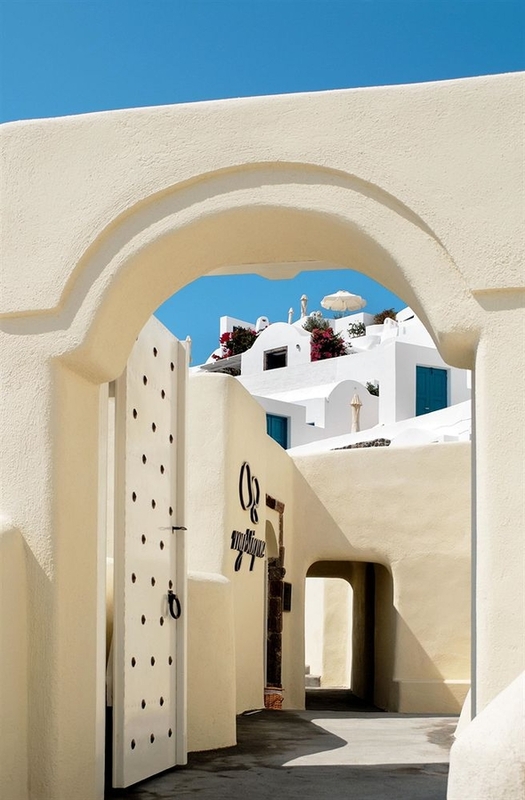 (ABOVE) The Cycladic architecture of the hotel screams Santorini, Greece. (1) The pool is wonderful. It is set overlooking the water and mountains; I can envision myself relaxing here and enjoying life! (2) The hotel's "Asian spa resort" is the perfect place to receive a facial, massage, or full body treatment. (3) This photograph gives you a clear idea of where things are located on the resorts property. In the center is the pool area, to the right is a lounge area, to the far left is the Aura bar and Charisma restaurant. The hotel has unobstructed views of the city and water. No other structures blocking your view. (4) At the Aura bar and Charisma restaurant you can enjoy fresh sea food, what else could you possibly want other than Mediterranean food on the Mediterranean?! 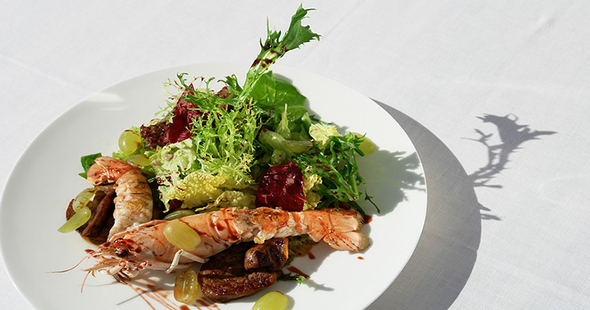 This dish looks incredible--all that's missing is some wine from the hotels' 150 year-old wine cellar. 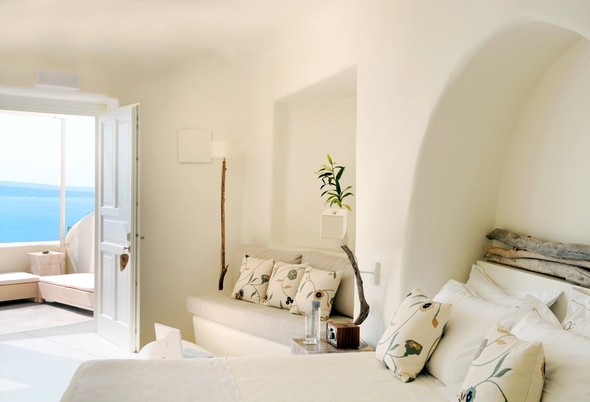 (5) The suites are designed to put your mind at ease. No crazy colors or prints. 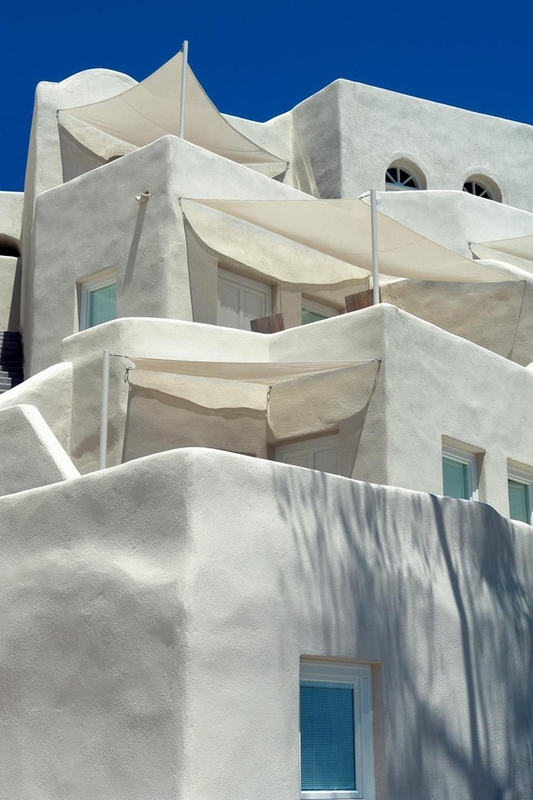 Here you'll find simple, clean design, that allows Santorini's Cycladic to shine through. This suite is known as the "Vibrant" suite. It's the smallest of the suites. (6) The larger "Allure" suite features a separate living and sleeping space. I can really appreciate the architecture of this space. The hotel also features two other types of suites which are larger than this. (7) The exterior of the hotel! How wonderful. Have you stayed at the Mystique? What do you think of the hotel? Oh how I am ready to go back to Santorini now!! Thank you!! Greece is pretty much the closest thing to heaven -- and in those outfits, beyond! 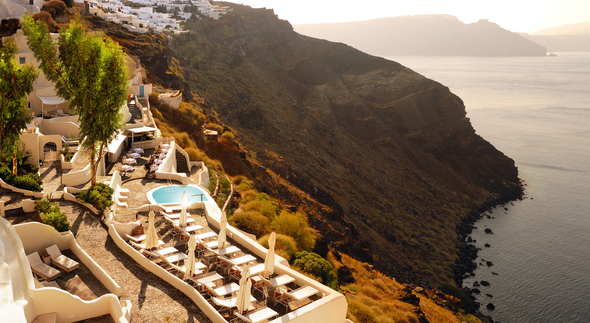 Oia is stunning! the sunset from that town is incredible. we went last summer and everything looked even better in real life than the photographs..